Long before Uber shook up the taxi business and AirBnB shocked hoteliers, digital disruption had been rumbling through industries for over five decades. In a world with no Internet or social media, with little radio and less TV, digital disruption quietly debuted in 1949 and thereafter, with little to no fanfare, methodically spread its digital brand of transformation everywhere. 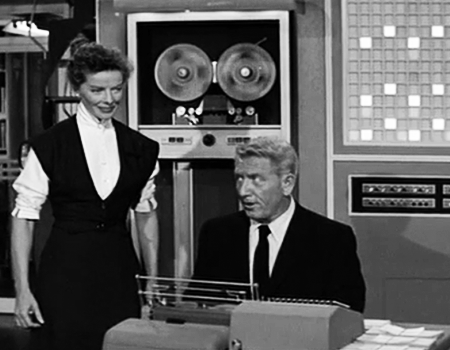 Occasionally, Hollywood would pop out a glimpse of the disruption, as it did with the Tracy/Hepburn romantic comedy Desk Set, but by and large the pervasive disruption was deceptively quiet. 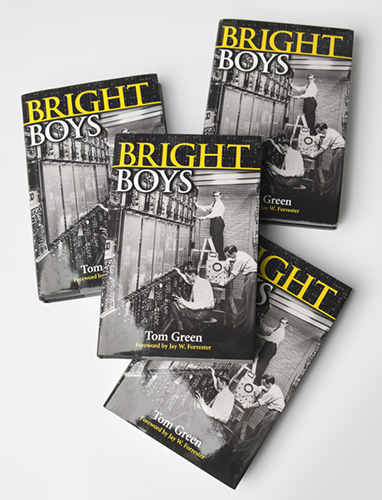 Bright Boys is the backstory to digital disruption of the late 1940s and early 1950s. Bright Boys, the book will now get a transformation of its own, as it is recast as Bright Boys, the podcast. 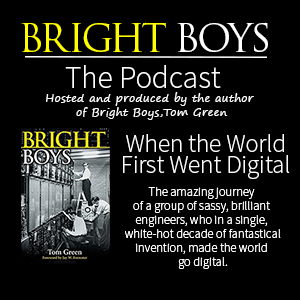 In celebration of the 70th anniversary (1949-2019) of digital transformation, Bright Boys will stream as a podcast series in eight 30-minute episodes. The economics were disastrous: federal tax collections fell by eight million dollars a day, while the city posted a one hundred million dollar loss to its economy. In 2018 dollars, that’s a tidy $1.4 billion. New York governor, Thomas Dewey, had had enough after five days. He pressured both sides to declare a truce. In a high-rise city getting higher all the time, elevator operators could readily make hostages of millions of people…plus threaten the potential loss of billions of dollars to the economy. Technology was sent to work in the city that never sleeps, where, since the 1857 installation of its first passenger elevators, no elevator had ever moved without a human at the helm. However, within a decade after the 1945 strike, it would be difficult to find an elevator operator. Today, there are over 80,000 elevators in New York City, but no human gets a paycheck for operating one. 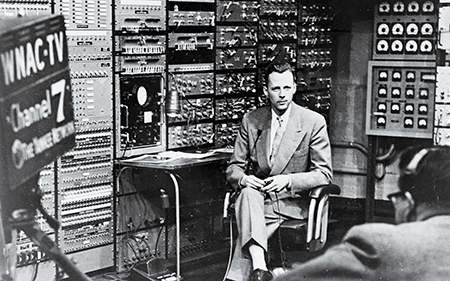 During that same September of 1945, in Cambridge, MA, some 220 miles to the northeast of New York City, Jay Forrester sat in Gordon Brown’s office at MIT’s Servomechanisms Lab. 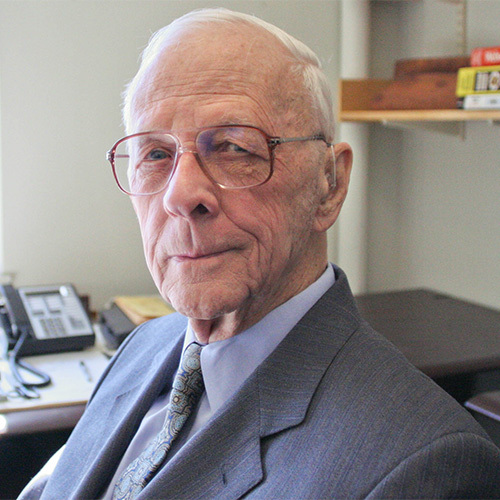 Brown, director of the Lab, was hoping to keep the 27-year-old Forrester at MIT. From 1945 to 1956, in birthing the Whirlwind computer, plus the more advanced and networked version of itself, the SAGE computer, the Forrester-led team kicked off in 1949 an age of digital disruption that continues on today. The idea behind Whirlwind was to create a general-purpose computer that could control other machines and processes. In short, to apply automation technology widely where ever possible and to further discover ever more possibilities to automate. Forrester’s team of bright boys spent all of 1947 designing the computer on paper; the next year, 1948, the team transformed their blueprints into a computing machine (using over 2500 square feet of floor space in an old laundry building); and in 1949, they switched on their creation, which then ran continuously until 1959. The more advanced version of Whirlwind, the SAGE computer, ran continuously until 1984, with a remarkable uptime of over 95 percent. Please join us in early 2019 for the first 30-minute episode of Bright Boys: The Podcast. We’re sure that you’ll enjoy it and come back for more.